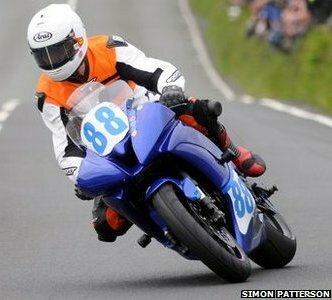 ‘ACU Events Ltd regrets to announce that Bob Price, 65, from Stroud, Gloucester was killed during the Supersport 1 Race at the Isle of Man TT races today following an incident at Ballaugh on the third lap of the race. ‘Highlights of his Mountain Course career included third place in the MGP Junior Classic in 2002 and runner up position in the same year in the Senior Classic. He also achieved third place in the 2004 Junior Classic MGP and took part in last year’s inaugural Classic TT Races. ‘The ACU wishes to pass on their deepest sympathy to Bob’s family and friends.